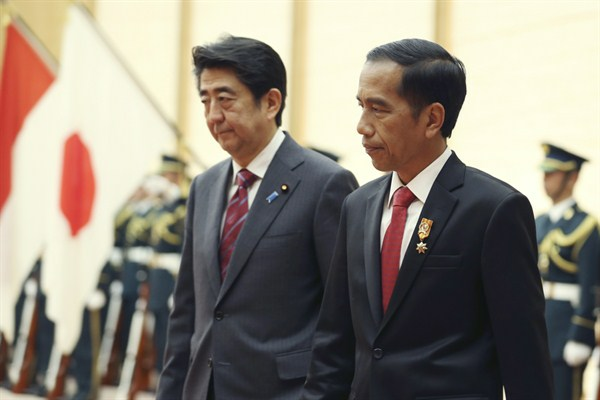 Japanese Prime Minister Shinzo Abe and Indonesian President Joko Widodo review a guard of honor prior to their meeting at Abe’s official residence in Tokyo, March 23, 2015 (AP photo by Koji Sasahara). Last month, Japan and Indonesia signed a defense pact that covers capacity building, peacekeeping and equipment development. In an email interview, Zachary Abuza, principal of Southeast Asia Analytics, discussed Japan-Indonesia relations.